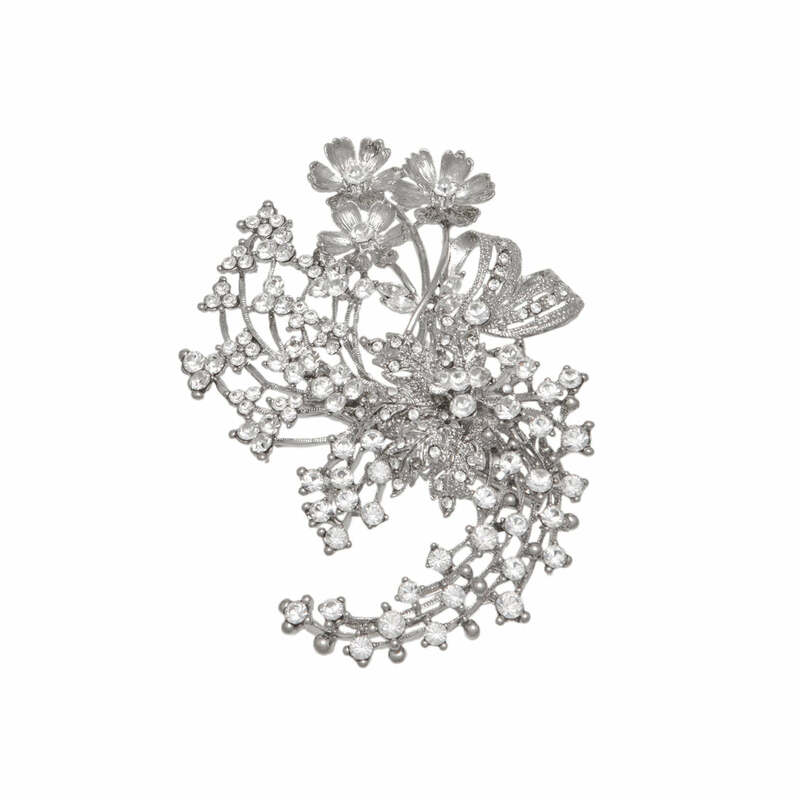 Featuring an enchanting bouquet design this vintage inspired headpiece is captivating. Inspired by precious antique headpieces, Nostalgic Bouquet featuring flowers, leaves and a ribbon effect bow adorned with sparkling clear Austrian crystals amid winding crystal studded stems set on silver tone has a touch of Hollywood glamour. 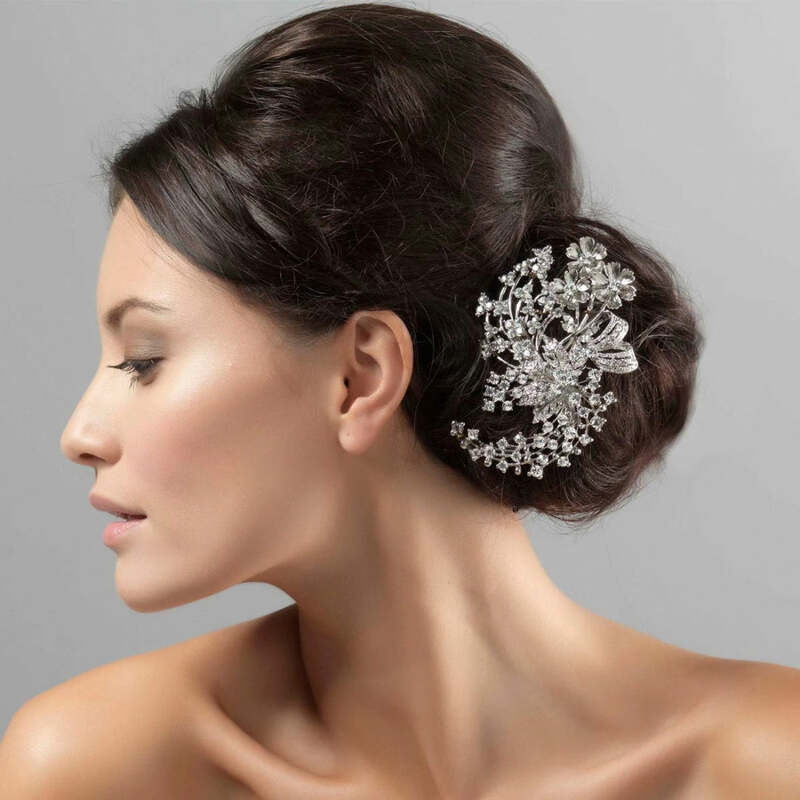 A 'piece' which looks sensational worn at the side of the head, it secures to the hair with a small concord style clip. Wear placed above a loose low side bun or at the back of the head above a low up-do and team with a pair of sparkling drop earrings for classic movie star style. Brides who adore vintage wedding headpieces will fall in love with this bouquet design. A beautiful compliment to a chic antique bridal gown, it blends exquisitely with influences from all era's including the glamorous 1940s and roaring 20s.